Kevin earned his degree in Information Management and Technology from the School of Information Studies at Syracuse University. His education focused on the impact that proper data management and progressive information strategies can have on the bottom line of any organization. Kevin's particular focus is developing usable, efficient and cost-effective web-enabled business systems and applications. Kevin began creating professional web sites in 1997. He has helped non-profit organizations, small and medium-sized businesses, community focused groups and student-run organizations harness the power of the Internet. He has worked in the capacity of freelancer, sub-contractor, consultant, employee and project manager. 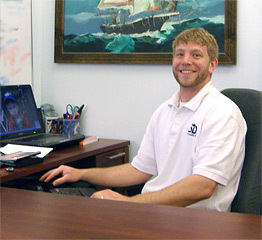 Kevin's wide array of skills make him an invaluable asset on any project utilizing web technologies. Special thanks to Tony Llerena Photography. If you need a Maine Wedding Photographer talk with Tony.